In early 2018, the cabinet approved the draft of the Digital Security Act 2018, which is more draconian than its predecessor, the 2006 ICT Act (see Legal Environment). The messaging apps Threema and Wickr, which were blocked in May 2016, were available again in the country (see Restrictions to Connectivity and Blocking and Filtering). The government blocked less websites during the coverage period compared to previously, although two news sites were newly blocked. Several of the 35 online news portals blocked originally in 2016 operate freely on different domains (see Blocking and Filtering). There were fewer arrests in the past year relating to online activity, although there were a surge of arrests following the coverage period of this study (see Prosecutions and Detentions for Online Activities). Internet freedom continued to improve in 2018 after a break in a years-long trend of violence targeting secular bloggers and less arrests. But in early 2018, the cabinet approved the draft of the Digital Security Act 2018, which is more draconian than its predecessor, the 2006 ICT Act. The government of the Bangladesh Awami League party under Prime Minister Sheikh Hasina officially encourages open internet access and communication to promote development. Private commercial stakeholders have also helped in the proliferation of internet usage. Bangladesh benefits from a vibrant—if often partisan—traditional media industry, though journalists face threats and legal constraints, and online news portals have been actively observing significant self-censorship. In order to stop the leakage of public exam questions, the government mulled temporarily shutting down internet services nationwide, but later backed down. The coverage period saw fewer reports of violence in reprisal for online speech, though there was a resurgence in a disturbing trend of unknown actors manipulating Facebook posts to instigate attacks on religious minorities. In November 2017, a minority community was attacked in Rangpur district over an anti-Islamic Facebook post supposedly posted by an illiterate Hindu youth, who was not even present in that area during that time. The local law enforcement agencies used force to disperse the rioting crowd. One person was shot and killed by police, and 25 people were injured, including seven policemen. Additionally, several individuals were arrested under the Information and Communication Technology Act of 2016 (ICT Act) for online comments on a range of issues. The number of internet users in Bangladesh is steadily on the rise. More than 90 percent of users access the internet via mobile phone providers, which recently began offering faster 4G service. The government has reduced the price of bandwidth significantly over the last decade. However, users complain about the high cost of private internet service. The government has occasionally restricted access to social media and communication platforms (see Blocking and Filtering). The messaging apps Switzerland-based Threema and the U.S. service Wickr were blocked in May 2016, but were available in the country at the end of the reporting period. The fiber-optic infrastructure connecting Bangladesh with international undersea cables is managed by the government. However, the majority of the gateways and internet exchange points (IXPs) are privately owned and managed. Mobile connections are provided by four operators. At the end of April 2018, Grameen Phone, owned by Telenor, had the biggest market share with 45 percent of the total customer base, followed by Robi with 30 percent, and Banglalink with 22 percent.16 The state-owned Teletalk holds the remaining percentage of the market. The BTRC planned to shut down internet service all over Bangladesh during certain periods in order to prevent cheating on national exams, but ultimately backtracked on the decision. Two messaging apps which advertise secure services have been blocked since mid-2016. There were no reports of state manipulation of online content or formal blocking of any social media or messaging platforms. The government has taken steps to filter and block websites and communication and social media platforms when they are perceived as critical of authorities.21 Two new websites were blocked over the past year, although the government did not restrict as many websites as it has previously. Threema and Wickr, two messaging apps that advertise secure communications, were blocked in May 2016. Regulators ordered gateway providers to implement the blocks after intelligence agencies claimed the apps were critical of Islam and responsible for the spread of atheism.29 Neither appear to have had a significant user base in Bangladesh, and intelligence communities may have singled them out believing them to be used by people seeking to evade government surveillance. At the end of the reporting period, these two apps were again available for use in Bangladesh. The BTRC censors content primarily by issuing informal orders to domestic service providers, who are legally bound through their license and operations agreements to cooperate. Service providers have described official censorship as ad hoc in nature, without proper follow-up mechanisms in place to ensure compliance.31 No appeals have been documented in response to censorship directives. There were no reported cases of forced deletion of content during the reporting period, though not all cases are publicly disclosed. Some signs of pressure on digital media outlets have been evident in the past three years. In 2015, Bangladeshi online news outlets and the online versions of daily newspapers were directed to go through mandatory registration, and authorities threatened to cancel the accreditation of journalists working for unregistered media outlets.36 The government justified registration as a tool to stop the purported abuse of media to destabilize society.37 However, no penalties have been reported for noncompliance. During the coverage period of this study, there were no documented economic constraints imposed by the government or other institutions specifically targeting online media outlets. No bloggers or digital activists were killed in reprisal for online expression during the coverage period, marking a slight improvement in a very dangerous environment for digital speech, though some arrests for online speech and inciting violence were reported under the ICT Act. Meanwhile, the Cabinet approved a draft of the 2018 Digital Security Act, which has more restrictive provisions than its predecessor. After the coverage period of this report, especially in July and August, Bangladesh faced a surge of arrests under Section 57 of the ICT Act, including of many participants in a mass protest movement calling for better road safety and other reforms. In September 2018, following the coverage period, the Parliament approved the draft Digital Security Act, which is meant to prevent cybercrime and will replace parts of 2006 ICT Act; the Cabinet first approved the Act in early 2018.48 While Section 57 of the ICT Act was repealed as part of the process, the new law introduces similarly restrictive provisions that could curtail freedom of expression online. Section 21 provides for sentences of up to 14 years of prison for anyone who uses digital devices to spread negative propaganda against the Liberation War or the Father of the Nation. Section 25 introduces sentences of up to 3 years in prison for deliberately publishing intimidating or distorted information against someone online. Section 28 mandates up to 10 years in prison for hurting someone’s religious sentiments. Section 29 mandates up to 3 years in prison for publishing information intended to defame someone. Section 31 provides for sentences of up to 7 years in prison for deliberately publishing information that can spread hatred among certain communities. Section 32 has been criticized by rights groups as potentially stifling investigative journalism by imposing sentences of up to 14 years for recording or accessing information digitally without prior consent. Under the Digital Security Act, no warrant is required before making ICT-related arrests, and some crimes are “nonbailable,” meaning suspects must apply for bail at a court. Arrests and prosecutions under the ICT Act have been documented since 2013, when the law was first widely applied, though there were fewer arrests in the past year compared to the previous coverage period of this report. The Home Ministry had separately submitted a proposal in 2015 to purchase approximately US$25 million worth of equipment from foreign companies to upgrade its mobile telephony, internet, and related surveillance networks. The proposal asked a cabinet committee on economic affairs to relax procurement regulations to facilitate the purchase, which would enable the National Telecommunication Monitoring Center (NTMC) to conduct "lawful interception" to assist local law enforcement agencies. The center has operated under the home ministry since February 2014, news reports said. Foreign companies listed in the proposal include U.S. firms Verint Systems and SS8, German firms Trovicor and UTIMACO, the Italian firm RCS, the Chinese firm Inovatio, and the Swiss firm New Saft.71 The companies advertise equipment capable of analyzing data traffic, calls, emails, and audiovisual materials online. The status of the proposal during this coverage period was not clear. During the coverage period, no bloggers or digital activists were killed in reprisal for online expression, marking a slight improvement compared to previous years that saw a series of fatal attacks against bloggers. 1 Calculated based on number of internet subscribers reported by the Bangladesh Telecommunication Regulatory Commission as of August 2017, http://www.btrc.gov.bd/content/internet-subscribers-bangladesh-august-2017. 2 "The Global Information Technology Report 2016", World Economic Forum, accessed in June 6, 2018, http://www3.weforum.org/docs/GITR2016/WEF_GITR_Full_Report.pdf. 4 ThinkTechHawaii, “Somewherein: The First Social Media Company in Bangladesh with SyedaGulshanFerdous Jana,” YouTube video, 45:53, August 28, 2014, https://youtu.be/iVXsFDYLcQU. 5 “Strategic Priorities of Digital Bangladesh,” Access to Information Program, October 2010,http://bit.ly/1g9Zqvs. 6 "Union Digital Center", Access to Information (a2i) Programme, accessed in August 1, 2016, http://www.a2i.pmo.gov.bd/content/union-digital-center. 7 “Bangladesh imposes mobile phone ban on Rohingya refugees,” AFP, 24 September 2017, https://yhoo.it/2Cwfjw2. 11 Faheem Hussain, “ICT Sector Performance Review for Bangladesh,” LIRNEasia, 2011, http://bit.ly/1VNLUh2. 12“Bangladesh Connected with Terrestrial Cable,” BDNews24, December 8, 2012, http://bit.ly/1ga1Gmk. 17 S.M. Shahidul Islam and Abdullah-Al Monzur Hussain, “Bangladesh Telecommunication (Amended) Act, 2010,” Manual of Cyber Law in Bangladesh, (Dhaka: Central Law Book House, 2011), 241-264. 18 Faheem Hussain, “Telecom Regulatory Environment in Digital Bangladesh: Exploring the Disconnects between Public Policies/Regulations and Real World Sector Performance,” (presentation, Sixth Communication Policy Research South Conference by LIRNEasia and Chulalongkorn University, Bangkok, 2011). 19“Telecoms, ICT ministries merge,” Telegeography, February 11, 2014, http://bit.ly/1K8lBK6. 20 UNDP Bangladesh, “Access to Information (II),” accessed on August 8, 2015, http://bit.ly/1ixvvPu. 24 “BTRC orders blocking of 35 news sites,” The Daily Star, August 4, 2016, http://www.thedailystar.net/backpage/btrc-orders-blocking-35-news-sites-1264981. 25 “BFUJ, DUJ factions threaten to start strike,” Daily Star, August 8, 2016, http://www.thedailystar.net/city/bfuj-duj-factions-threaten-start-strike-1266325. 27 Facebook Government Requests Report, Bangladesh, July 2016- December 2016, https://govtrequests.facebook.com/country/Bangladesh/2016-H2/. 28 “Social networking sites closed for security reasons, says Minister Tarana Halim,” BDNews24, November 18, 2015, http://bdnews24.com/bangladesh/2015/11/18/social-networking-sites-closed-for-security-reasons-says-minister-tarana-halim; Ishtiaq Husain, “Twitter, Skype, Imo blocked in Bangladesh,” December 13, 2015,http://www.dhakatribune.com/bangladesh/2015/dec/13/government-blocks-twitter-skype-and-imo; Agence France-Presse, “Bangladesh Lifts Ban on All Social Media,” via Express Tribune, December 14, 2015, http://tribune.com.pk/story/1010061/bangladesh-lifts-ban-on-all-social-media/. 29 Muhammad Zahidul Islam, “Govt blocks 2 messaging services,” May 20, 2016, http://www.thedailystar.net/frontpage/govt-blocks-2-messaging-services-1226884. 30 Jeanette Si, “HTTP vs HTTPS: What it Means for Internet Censorship,” Internet Monitor, July 13, 2017, https://thenetmonitor.org/blog/posts/http-vs-https-what-it-means-for-internet-censorship. 31 UNDP Bangladesh, “Access to Information (II),” accessed June 2013, http://bit.ly/1ixvvPu; interviews with seven experts who requested anonymity, 2013, Bangladesh. 32 Google Transparency Report, “Government requests by country: Bangladesh,” https://transparencyreport.google.com/government-removals/by-country/BD. 34 Mark Wilson, “Microsoft, Google, Facebook bow down to Bangladesh government over content removal,” IT Pro Portal, June 14, 2016, http://www.itproportal.com/2016/06/14/microsoft-google-facebook-bow-down-bangladesh-government-content-removal/. 37"Registration mandatory for online newspapers", Dhaka Tribune, November 9, 2015, http://archive.dhakatribune.com//bangladesh/2015/nov/09/registration-online-newspapers-made-mandatory. 38 GeetaAnand and Julfikar Ali Manik, “Bangladesh Says It Now Knows Who’s Killing the Bloggers,” June 8, 2016, http://www.nytimes.com/2016/06/09/world/asia/bangladesh-killings-bloggers.html?_r=0. 42 Tamanna Khan, “Shahbag beyond Boundaries,” The Daily Star, March 29, 2013, http://bit.ly/1OdiSoR; Faheem Hussain, Zyma Islam, and Mashiat Mostafa, “Proliferation of Twitter for Political Microblogging in a Developing Country: An Exploratory Study of #Shahbag,” Research funded by the Asian University for Women Faculty Research Fund, 2013. 43 S.M. Shahidul Islam and Abdullah-Al Monzur Hussain, “Right to Information Act, 2009,” Manual of Cyber Law in Bangladesh, (Dhaka, Central Law Book House, 2011) 1-47. M. Moneruzzaman, “Judiciary independence still on paper,” The Bangladesh Chronicle, January 15, 2013, http://bit.ly/1MbZnO5. 45 S.M. Shahidul Islam and Abdullah-Al Monzur Hussain, “Information and Communication Technology Act, 2006”, Manual of Cyber Law in Bangladesh, (Dhaka, Central Law Book House, 2011) 90-91. 56 “Section 57 requires the approval of the Police Headquarters,” Bengali Tribune, http://tinyurl.com/y74yy3la. 57 “Facebook shares dead goats news, journalist arrest,” ProthomAlo, August 1, 2017, http://tinyurl.com/y789e58c. 58 “Journalist bail in Khulna 57 case,” ProthomAlo, August 2, 2017, http://tinyurl.com/ybhzhhsj. 59 “OC withdrawal of case under section 57,” ProthomAlo, August 2, 2017, http://tinyurl.com/ybllajdw. 61 “Legal notice served to block Afsan Chowdhury's Facebook ID,” Dhaka Tribune, June 11, 2017, http://www.dhakatribune.com/bangladesh/court/2017/06/11/legal-notice-block-afsan-facebook/. 64 Faheem Hussain and Mohammad SahidUllah, “Mobile Communication and Internet in Bangladesh: Is Privacy at Risk for Youth Population?,” Media Watch, Centre for Communication Studies, 2013. 65 “Facebook refuses MoU with Bangladesh police,” Dhaka Tribune, March 14, 2017, http://www.dhakatribune.com/bangladesh/2017/03/14/igp-facebook-refuses-mou/. 66 “Bangladesh launches registration of mobile phone SIMs with biometric details, BDNews24, December 16, 2015, http://bdnews24.com/bangladesh/2015/12/16/bangladesh-launches-registration-of-mobile-phone-sims-with-biometric-details. 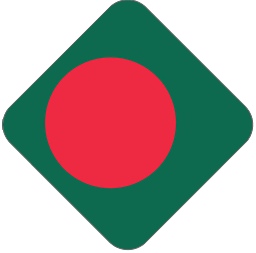 68 Telecommunications Industry Dialogue, “Bangladesh,” https://www.telecomindustrydialogue.org/resources/bangladesh/. 69 Abu Saeed Khan, “Bangladesh Telecommunication (Amended) Act, 2010,” (presentation, Third South Asian Meeting on the Internet and Freedom of Expression, Dhaka, Bangladesh, 14-15 January 2013). 70 Rejaul Karim Byron and Muhammad Zahidul Islam, “Cyber Threat Detection, Response: Govt to install tools for constant watch,” Daily Star, March 29, 2017, http://www.thedailystar.net/frontpage/govt-monitor-online-activities-1382893. 71 Rejaul Karim Byron, “Bangladesh to purchase modern surveillance equipment,” August 3, 2015, http://www.thedailystar.net/frontpage/govt-buy-new-surveillance-tools-120967. 72 EdinOmanovic and Kenneth Page, “Who is Selling Surveillance Equipment to a Notorious Bangladeshi Security Agency," Privacy International, April 29, 2013, https://www.privacyinternational.org/?q=node/427. 73 RezaulHauqe, “WikiLeaks reveals Bangladesh’s spyware purchase,” BDNews24, November, 2, 2014, http://bit.ly/1NqbIhO. 75 “Al-Qaeda branch claims responsibility for murder of writer-blogger Avijit Roy,“ The Daily Star, May 13, 2015, http://bit.ly/1QoOBm8. 77 Al Jazeera, “Bangladesh Opposition Protests turn Deadly,” February 22, 2013, http://www.aljazeera.com/news/asia/2013/02/2013222103554838445.html. 78 Rights organizations do not publicize the details of individual cases for security reasons. 79 Saeed Ahmed, “Washiqur Rahman: Another secular blogger hacked to death in Bangladesh,” CNN, March 31, 2015, http://cnn.it/19v17k8. 80 “HC upholds blogger Rajeeb murder verdict,” Dhaka Tribune, April 2, 2017, http://www.dhakatribune.com/bangladesh/court/2017/04/02/hc-upholds-blogger-rajeeb-murder-verdict/. 81 Raju Gopalakrishnan and Manuel Mogato, “Bangladesh Bank official's computer was hacked to carry out $81 million heist: diplomat,” Reuters, May 19, 2016, http://www.reuters.com/article/us-cyber-heist-philippines-idUSKCN0YA0CH.